are found in its job order cost accounting system for the fi rst month of the new fi scal year. was applied at a rate that was 75% of direct labor cost. 4. 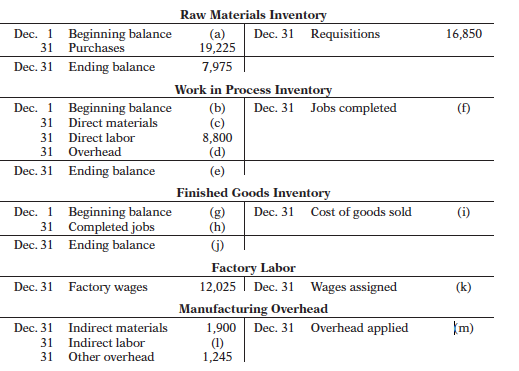 Manufacturing overhead was $230 overapplied in December. List the letters (a) through (m) and indicate the amount pertaining to each letter.